Eitech has been making high quality stainless steel construction sets for budding builders and future engineers for 40 years. All prodcuts are designed, engineered and manufactured in Germany. 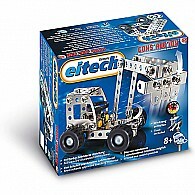 Eitech sets teach children valuable hands on motor skills, learning how to follow directions, and basic STEM skills.